Having beautiful carpets and rugs in your home is a very comforting thing. They feel great on your feet, they add some sound proofing, they are safer on your staircases and last but not least they keep air borne particles from flying around in the air, almost like an air filter in your home. These benefits are hard to ignore, and really make them very tempting to install, but like anything beautiful they do require some maintenance and upkeep in order to have them looking their best, and performing the way that you want them to. This is where carpet and rug cleaning comes into play. Carpets are designed to be soil hiding. Most residential wall to wall carpeting are made of nylon. Nylon carpet fibers by design are in technical terms “tri-lobial”. What this means is the fibers are not round, but are shaped almost like a clover, broken down into 3 parts. The purpose of this design is to cause soil particles to separate into smaller parts and make them less visible to the eye. This in essence will make your carpets look “cleaner” for a longer period of time. This benefits the esthetic point of view, however it also means that it will hold a lot more dirt and soil before it looks dirty. Within the average home’s carpets you will find dust mites, soil, dust, fingernail clippings, carpet beetles, fleas, pollen, and many other allergens. 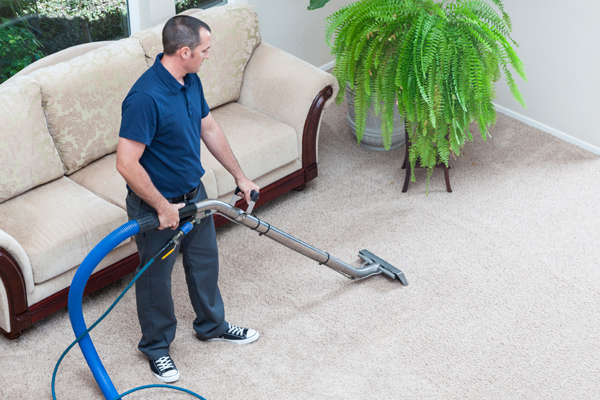 The good news in this is the solution is simple, vacuum on a regular basis and most importantly have an experienced and qualified professional carpet cleaning company like Enviropure to steam clean your carpets on an annual basis. This will ensure your carpets and rugs look, smell and feel great. For more information about having your carpet cleaning done in Ottawa, please visit our main page of our website http://carpetcleaningottawa.com/carpet-cleaning/ and learn more about our services.